John Wanamaker commissioned the building of the John Wanamaker Branch, designed by architect John T. Windrim, at 2123-27 South Street, in 1903. The branch, seen in this ca. 1904 exterior view, opened on December 15, 1904. The building was "rented" to the Free Library of Philadelphia for $1.00/year, a sum never collected. Since it had to conform to the Free Library's requirements for a branch library, a lecture room in the Bethany Brotherhood House next door (also built by Wanamaker a few years earlier) was shared with the library. 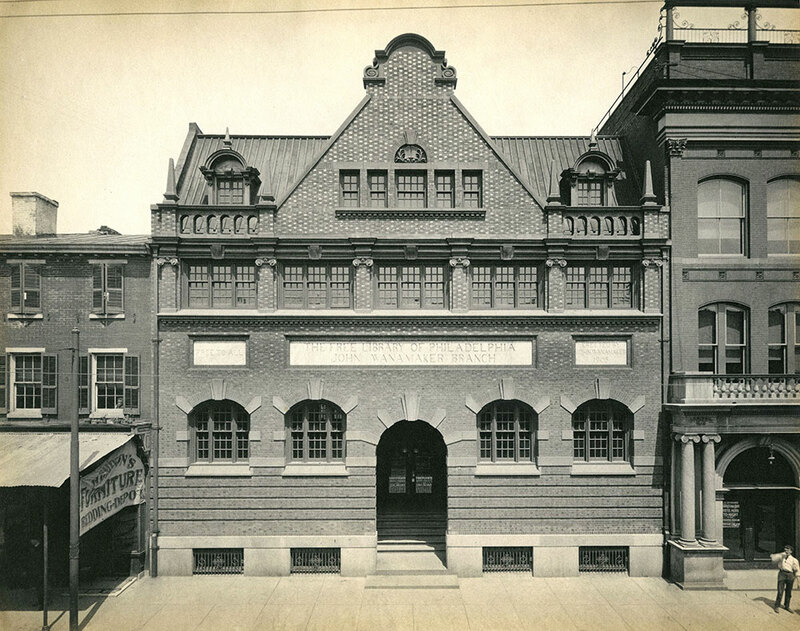 The Wanamaker Branch closed in 1932, with the termination of the lease, when the Wanamaker estate was settled. It served the Rittenhouse Square/Southwest Center City area.